« A $7 flea market Renoir? 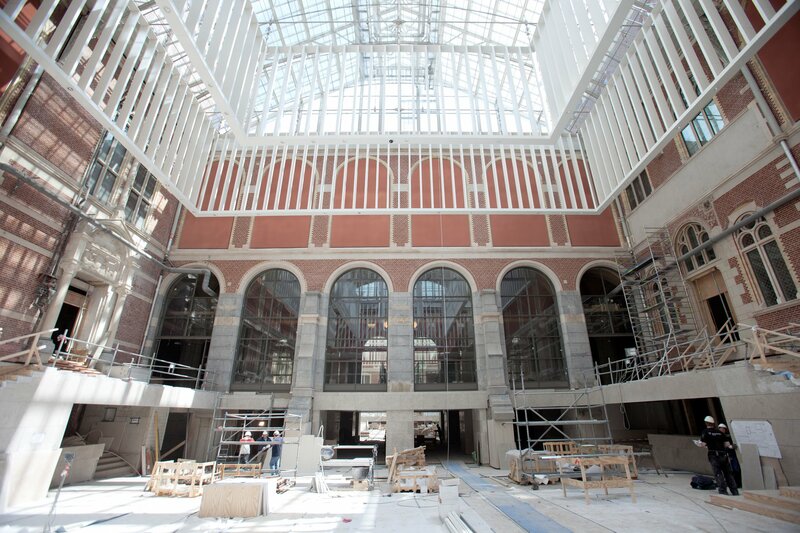 In 2013, the main building of Amsterdam’s Rijksmuseum will have been closed for renovations for 10 years. 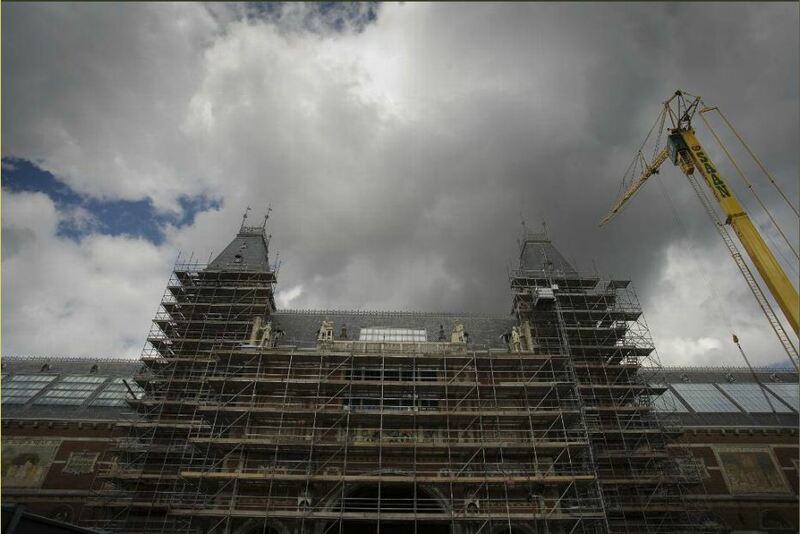 Since 2003 visitors have had to settle for seeing a small core of 400 masterpieces in the Philips Wing while the neo-Gothic palace designed by Pierre Cuypers has undergone a massive program of restoration and modernization. After a seemingly endless parade of thorny problems caused years of delays, the end is finally in sight. The construction work is done and the Rijksmuseum has an official opening date: April 14th, 2013, 10 years to the month after it was first closed. 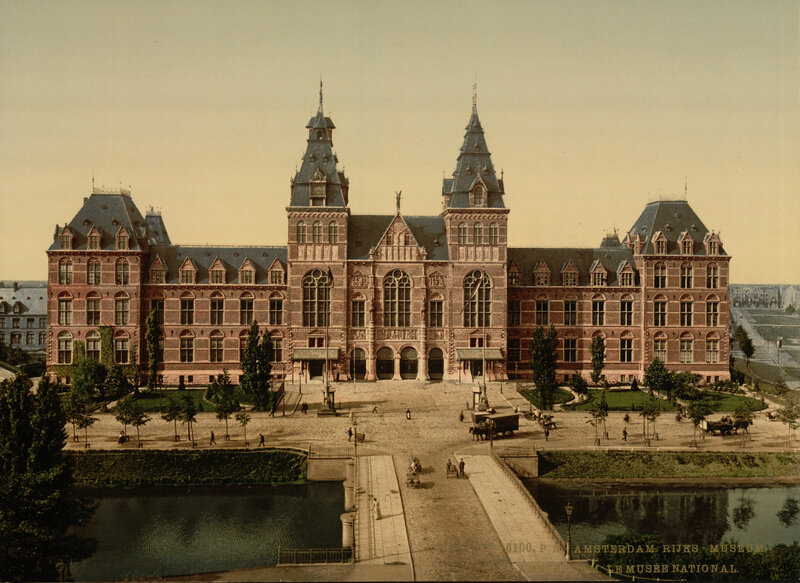 Cuypers’ building, completed in 1885, was significantly altered over the years in an attempt to accommodate the needs of the ever-expanding collection and ever-increasing numbers of visitors, but there was never a systemic, thorough renovation. That haphazard approach resulted in space-swallowing double ceilings, partitions and offices. Climate control and artificial lighting were sub-standard. New construction encroached on the two original courtyards, cutting off the natural light to the museum and cluttering the large spaces in Cuypers’ original design. The number of yearly visitors had increased from 225,000 in the late 19th century to one million by the end of the 20th. The facilities were woefully inadequate. The Dutch government agreed in 2000 to fund a thorough renovation program. Spanish architects Antonio Cruz and Antonio Ortiz were selected to combine Pierre Cuypers’ original intent with state-of-the-art energy systems. Their plan stripped back all the additions clogging the courtyards and converted them into a wide-open two-part atrium divided by a passageway. The new design would capture the soaring grandeur of Cuypers’ interior layout while providing new facilities for visitors and ideal storage, conservation and security measures for the collection. Construction was slated to begin in 2003 when they hit the first obstacle: asbestos. Abatement required the closing of half the building in April, then the rest of it in December. The original completion date of 2008 went out the window. Then came the planning and permit problems that took years of legal wrangling to solve. Then came the budget cuts which kept the construction company from getting their money and thus from doing any work. The actual reconstruction work didn’t start until the end of 2007, and in the meanwhile a brave new world of iPhones and apps had dawned that required additional planning. The reconstruction was deeply ambitious. In addition to a new Asian Pavilion, an Energy Centre under the garden and a new service entrance with an underground passage to the museum, the Grand Hall of the Rijksmuseum was completely redone. Cuypers’ elaborate decoration of the walls, vaults and Italian terrazzo and marble mosaic flooring, full of text and pictorial symbolism representing Dutch history, had been removed, damaged, painted over. There was no restoring it short of completely redoing it all according to the original plan, so they spent years researching what the Grand Hall had looked like in 1885 and then recreated it from scratch. The 19th century painted decoration and monumental ornaments have also been restored or recreated in the stairwells, the Hall of Fame and the Night Watch Gallery, the room where Rembrandt’s The Night Watch was once and will again be on display. When the 400 masterpieces of the Dutch Golden Age return to the main building, the Philips Wing will close for a year to get its own updates and then reopen for major temporary exhibits. Interior decorators have been furnishing the Rijksmuseum main building with new, secure display cases. The rest of the time between now and April will be dedicated to moving approximately 8,000 major works from the museum’s massive one-million piece permanent collection into the main building. 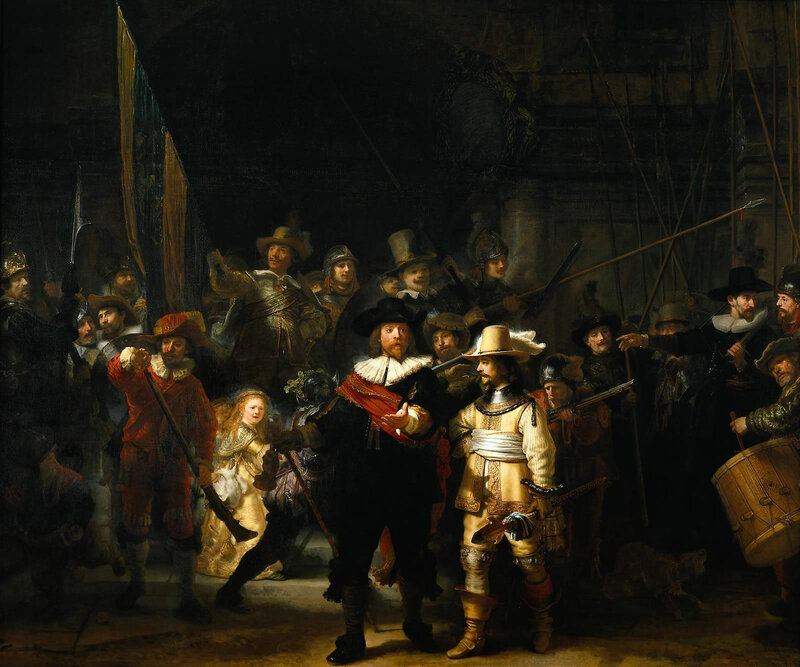 Only The Night Watch will return to its former sweet spot in the exact center of the museum. The rest of the contents will be arranged in a new configuration. Instead of historical objects being in one room, paintings in another, the collection will be grouped thematically and chronologically so visitors can get a sense of the history of Dutch culture from the Middle Ages through to today. 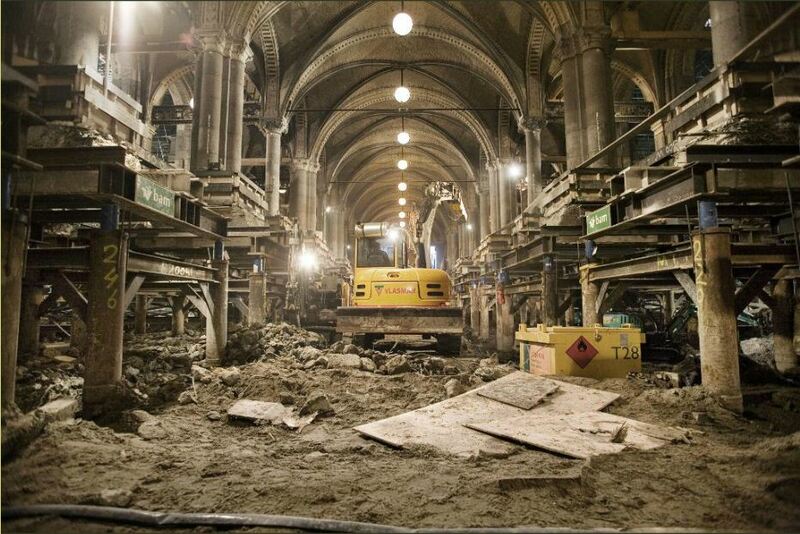 This project will have cost $480 million by the time the doors open again in April, but it will have been worth it. The Rijksmuseum will be the first national museum in the world to be open every day of the year from 9:00 AM to 5:00 PM. No more tourists showing up on a weird national holiday only to find the doors closed. Admission for children and young adults under 19 is free; for everyone else the cost will be €15 (about $20). There’s an extensive slide show of pictures from the renovation on this page. Click the top “Take a look” link to launch the slideshow, then click the number 13 on the top menu of the pop-up window to start with the pictures from 2004. Click the rest of the numbers in descending order to go from oldest to newest. I’m embedding the computer animations of the restoration and footage of the reconstructed Great Hall below. This entry was posted on Monday, September 10th, 2012 at 5:39 AM	and is filed under Modern(ish), Museums. You can follow any responses to this entry through the RSS 2.0 feed. You can skip to the end and leave a response. Pinging is currently not allowed. I like that they are going to group things by period rather than type: understanding of finds is all about the context they are from! I like that too. I think it will add both variety and coherence to the exhibits. 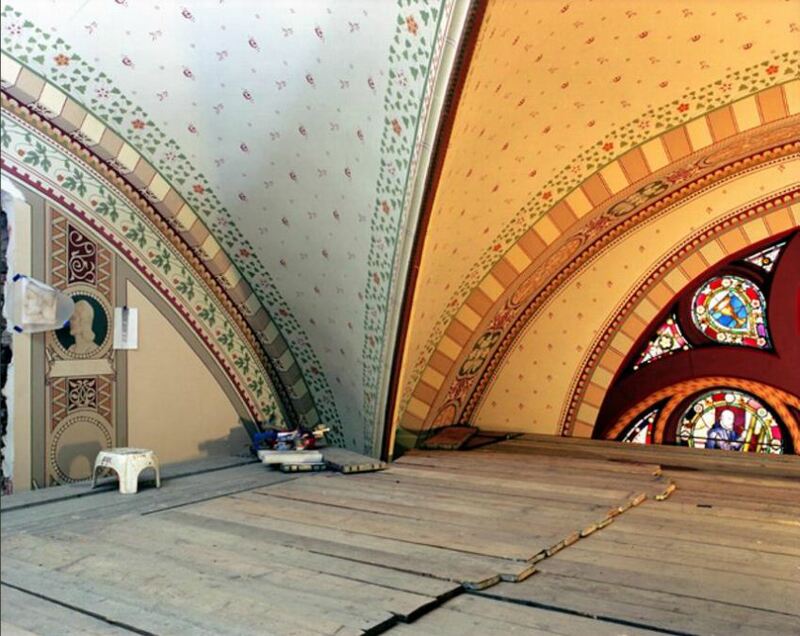 Dang…the decorative painting restoration blows my mind. You can see why it took them so long to get this project done. The detail work is insane.